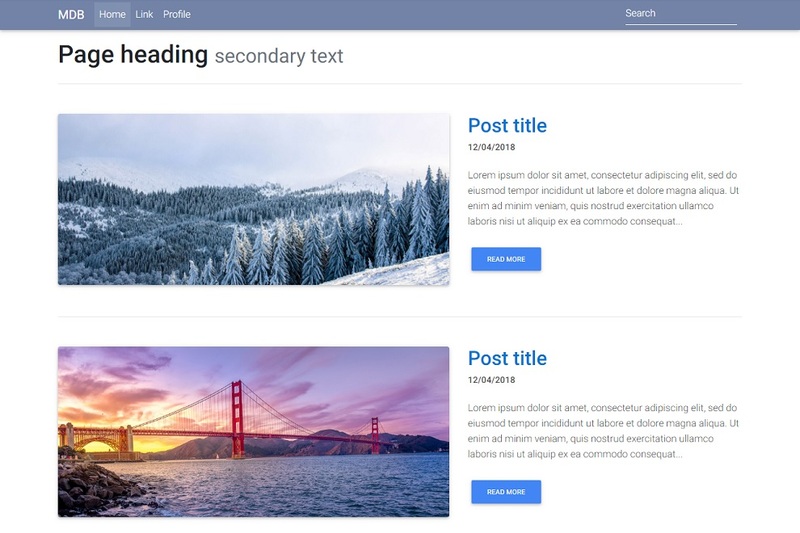 Material Design for Bootstrap theme with some basic Layouts loaded using StaticPages to get you up and running quickly. 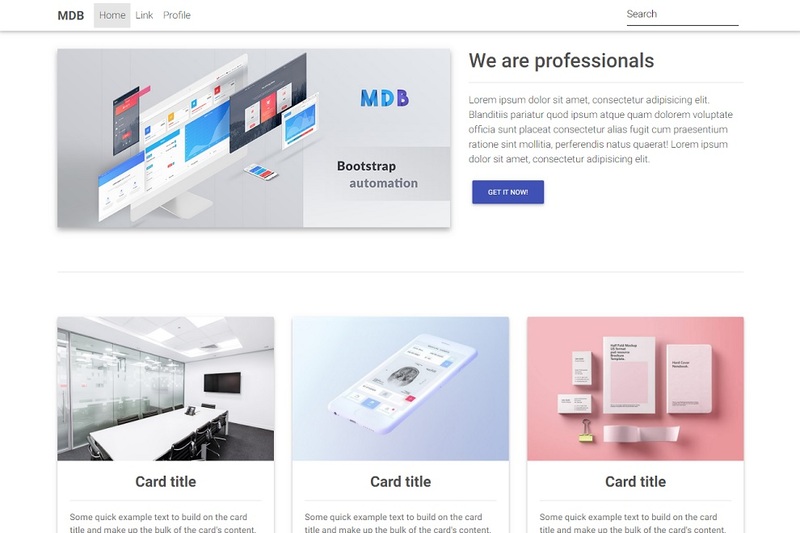 Free Modern and Clean OctoberCMS Theme based on MDBootstrap (Material Design for Bootstrap) which is a powerful CSS Framework coupled with the best of Bootstrap and Material Design. Trusted by 400 000 + developers and designers. Used by companies like Nike, Samsung, Amazon, Ikea and Sony. Fully responsive and compatible with different browsers. Always do this on a test server to avoid any breaking changes to your live sites. See the change log and make the necessary changes to your theme. Looking for a blank theme? Try our MDB v441. 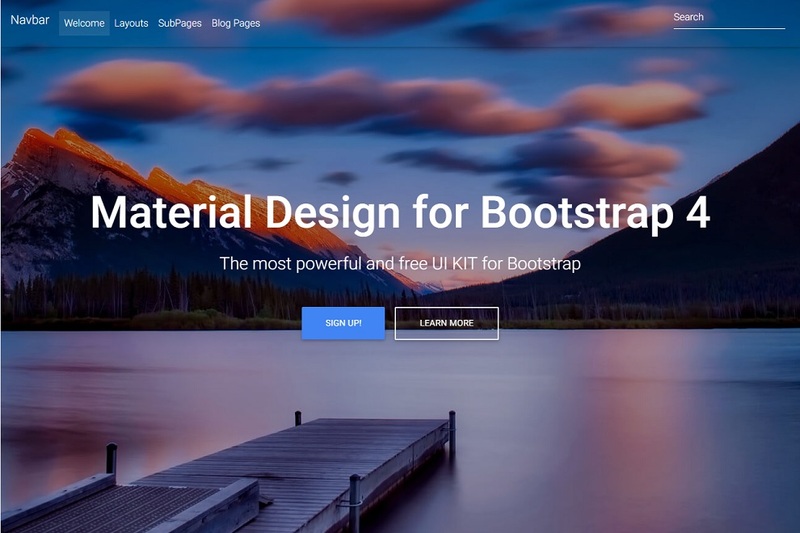 Visit the official MDBootstrap website for more components and features. Full documentation for this theme MDB 4.4.5 can be found here. The theme comes with some Layouts loaded. Please have a look at the Basic Landing Page layout to see how you can take advantage of Layout variables which provide custom fields for StaticPages. The Layout variables provide custom fields which will be used to manage the page content. Take a look at the secondary tabs in place of the Content tab on the Basic Landing Page example. Automatically generate a sidebar menu with Subpages created in StaticPages when using the Sidebar Layout. If, for example, your parent page slug is about-us then you simply need to create a menu item named "about-us"; set it to the StaticPage and ensure that you have checked Allow nested items and Replace this item with its generated children. The sidebar menu will then be populated with the subpage items. The footer content can be managed from the StaticPages Content side menu item. There are also some CMS Pages prepared for the blog pages. Adapt these pages or create your own pages from the examples provided. Love how well this theme works, perfect for getting up and running very quickly. Pretty good theme - I had to use "RainLab StaticPages" for it to work - wish it was specified in the beggining of the readme. Great quality - figuring it out. The only negative item, it does not render well on IOS safari (iphone X) - probably due to apple webkit bugginess. Not sure why the iPhone X is so buggy but displays well on other devices. Hope you find it helpful and build many great websites.